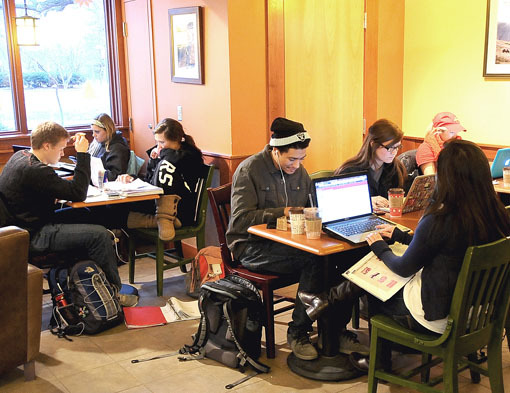 A Wi-Fi zone, a dose of caffeine and a few comrades: the perfect recipe for some serious studying. This group of students hit it hard at The Hub earlier this week. Northern Iowa president and former ISU provost Ben Allen will receive an honorary degree and give the address during fall commencement Saturday. 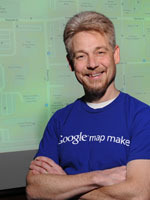 This master map maker and web cam czar responds to five questions about his work and a recent honor from Google. Earlier this fall, university officials approved a partial university shutdown over winter break, Dec. 23-Jan. 2. Here's a checklist to help you prepare for the optional extended leave. We've compiled a list of closures and holiday hours for some popular campus facilities over winter break. Horticulture professor Ann Marie VanDerZanden will take over as director of the Center for Excellence in Learning and Teaching and co-director of the learning communities program on Jan. 3. Meeting telephonically Dec. 8, the state Board of Regents approved tuition and fee rates and faculty professional development assignments for 2012-13, and gave the final green light to the College of Human Sciences' School of Education.